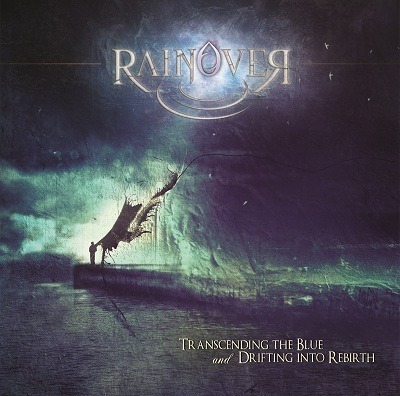 Spaniard gothic rock band Rainover recently inked a deal with Wormhole Death Records/Aural Music and will release their new album Transcending The Blue And Drifting Into Rebirth via Aural Music Group/Wormhole Death Japan sometime in 2014. We are extremely happy to announce that we have signed a deal with the Italian label Wormhole Death. This is a great opportunity for us to present our music to a bigger audience based upon the support and hard work offered by this group of trustworthy professionals, who are capable of being critical in order to get the best results from us, but also amicable and very close to our views on music and the industry. On top of this, we have been working together on every aspect of the production of our new album, so you’ll soon be able to check out by yourselves just how productive our collaboration has been so far, starting by the preview we’re now showing you. Last but not least, they also have great bands in their rooster, so, all in all, we can’t be more proud and excited about this new chapter of Rainover as members of the Wormhole Death family!